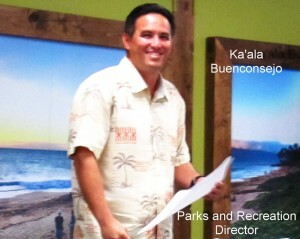 At his first KCA Membership meeting, Ka’ala Buenconsejo, the newest Parks & Rec Director, was a pleasant guest. 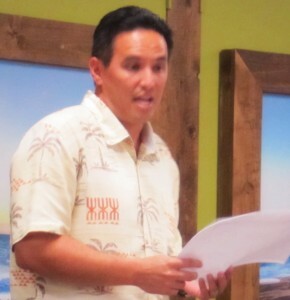 He opened the meeting with a presentation highlighting the proposed Kihei gym and and some general comments about S Maui Parks, and answered a wide variety of audience questions. What seemed to generate the greatest response and concern was funding and plans to build the proposed gym in the Kihei Park. Fortunately we had Captain Stephen Orikasa of the Kihei Division of our police department attending his first meeting, who readily agreed to answer a wide variety of questions. 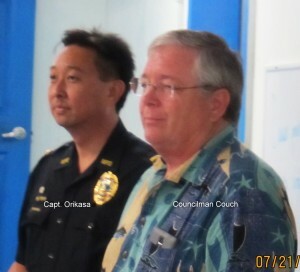 He was joined by Councilman Don Couch attending his first meeting of the year, and our membership was ready to go with more questions than we had time to allow. Our next meeting on SUNDAY 9/13/15 at 4:30 PM at the Kihei VFW Center is our 55th anniversary party , which unlike all other general membership meetings is limited to members only. 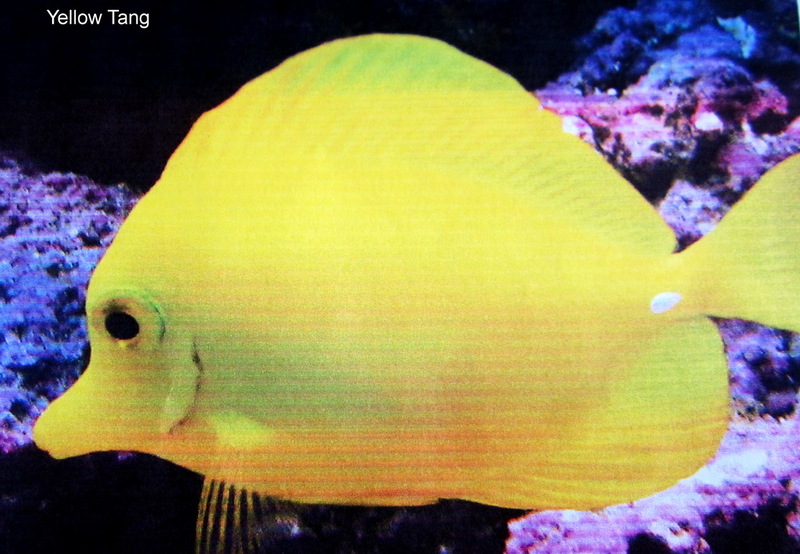 And members must make a reservation to participate.